In a world where parents feel pressured to have their babies reading my 18 months and to ensure social success before they enter preschool classrooms, PLAY is at risk. Our culture vigorously promotes educational milestones, but developmental milestones suffer. This occurs despite strong research that supports the fact that developmental, creative, and unstructured playtime actually makes children smarter! It is our job as parents to protect play for our children. I knew when I read this that the creators have a similar mindset as I do regarding the importance of PLAY for a child’s overall development, which made me very excited to dive into this product and learn more. Disclosure: I received this product at no cost to me for review. I received no other compensation. All opinions and images are mine. 1-2-3 Just Play with Me is an “interactive set f cards to mark milestones and celebrate stages in your child’s development.” Developed by a pediatric speech-language pathologist and physical therapist (who are also mothers), this product contains a set of colorful 7×7 cards designed to help you as a parent track your child’s development and interact meaningfully during each stage of your child’s development. Speaking Parentese (also called mothers or baby talk) is perfectly fine. You will not be teaching him an incorrect way of talking. In fact, at this age, your soothing voice is the most comforting thing to your baby, so feel free to coo away! 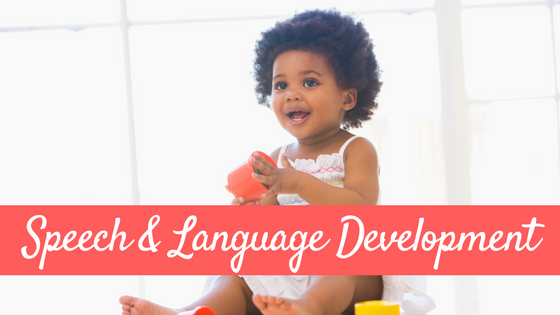 In addition to these developmental cards, you will find over 15 additional cards that cover many other developmental and parenting topics in the first three years of life including tips on sleep, TV watching, baby sign language, toilet training, introducing solids and additional resources you may find helpful. Like any parenting book or resource, read the tips with an open mind and use what you feel is right for your family. The authors of this product have included a card that covers how you can use these cards. Basically, you can use these cards to keep track of what skills your child will be developing at each age range. Then, participate in the simple activities suggested in each area of development to help promote and solidify those skills while bonding with your child. What I did, was I placed the cards out where I could see them everyday (in my family room). That way I remembered to read them often. 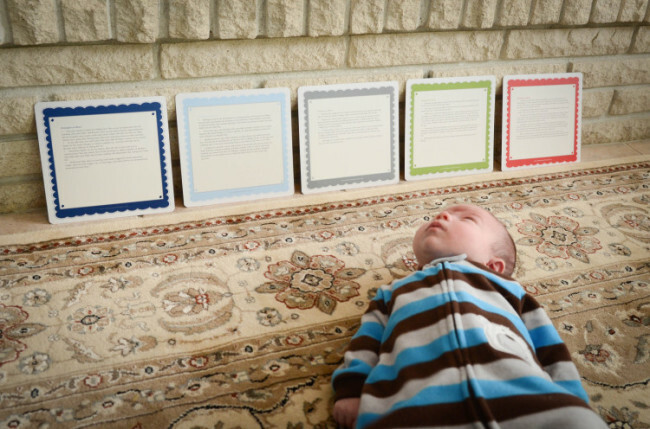 Then when it was time for some tummy and back time, I grabbed the cards that corresponded with my baby’s age and lined them up to see what kind of activities we could do together. I definately suggest leaving the cards out where they are readily available. One suggestion they gave was to hang them on your refrigerator! If you have a playroom like we do, that may be another great place to display the cards. Because they are colorful and pretty, you could hang them up on a little clothesline on the wall and they will double as decor! Students studying speech pathology, occupational therapy, physical therapy, child development or early childhood education. I love how 1-2-3 Just PLAY With Me covers development in so many domains, yet does so in a very simple and straight forward way. The language used is parent-friendly, which is critical. But the cool thing that makes this product stand out from your typical parenting books, is that it’s not a book. The product’s innovative, versatile and unique design really makes it stand out from the typical parenting books and products. The advantage to having this developmental information and activities in a card format allows you to remove JUST the information you want to concentrate on at that time. No more highlighting and dog-earing pages to come back to later (which, let’s face it, do we really come back to it?) You simply grab the cards you need and PLAY. You can get your own set of these neat cards on the Milestones and Miracles website for $42 dollars. The price is a little steep in comparison to the traditional “parenting books” you come across, but the versatility of the product and the FREE SHIPPING help balance the cost. Win Your Own Set Now! I’m super excited that Lacy and Nicole, the authors of 1-2-3 Just PLAY with Me are generously giving away one set to one of my lucky readers! This is open to US residents only, 18 and over. No purchase necessary. VOID WHERE PROHIBITED BY LAW. Entering in the rafflecopter below indicated you have read and accepted the full terms located in the widget. Sweepstakes open from 10/16/13 at 12am to 10/24/13 at 12am PST. These would be great to use as an Early Interventionist! I would like to win these because I feel like the baby is getting left out in the midst of homeschooling and everything else I have going on. Homeschoolers love 1-2-3 Just Play With Me for that reason! It’s the first “work” (aka play) for baby! As an early intervention SLP, I can see so many uses for this resource in working with my families! Thank you Kate. We are EI therapists. 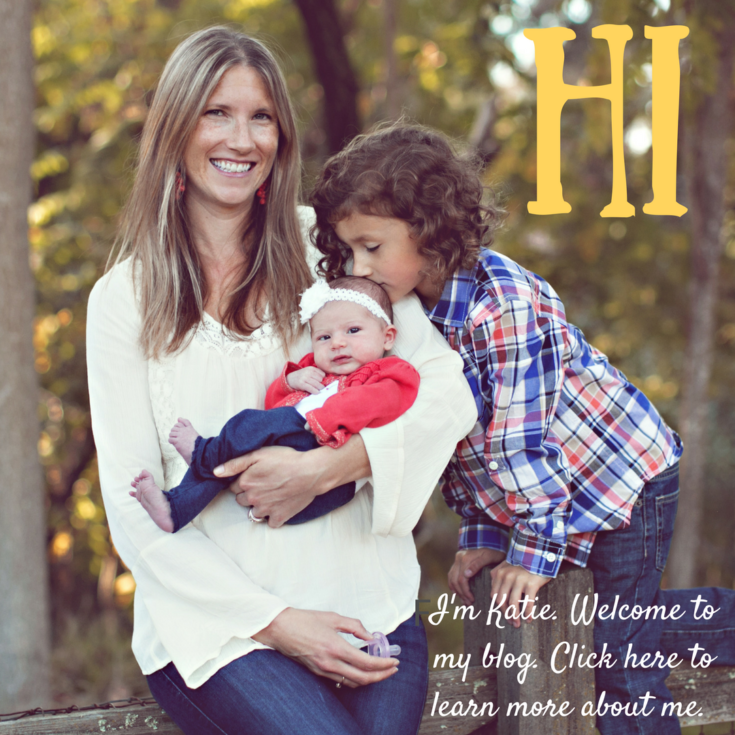 My business partner is an SLP – and we use (and love) them all the time. All the play suggestions utilize simple household items because, as you know, we often don’t have access to tons of materials in the home setting. My brother and sister-in-law are soon-to-be parents. This would make a great Christmas gift! 🙂 I am also a SLP and love learning about this new resource to share with parents of children who would benefit from this. Thank you Cassandra! We love shipping as gifts and can include a gift card with a personal note if you’d like! I work a lot of parents who love to learn how to help their babies develop!! They sound great! 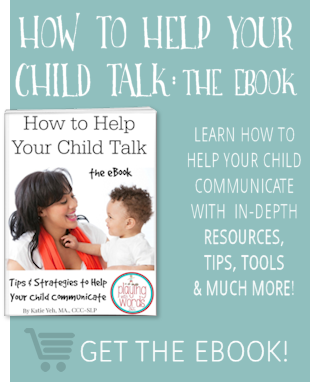 I am a pediatric SLP and this would be a wonderful resource for parents! I would LOVE to check out this resource and share/recommend it to parents that I work with! Looks wonderful! They sound great. I would love to try them! Thank you Jan! We tried to be mindful of including specific and detailed milestones often not discussed at well visits. We wanted to educate parents so they could advocate for their children if they had concerns but also be able to really understand all those incredible “inchworms” between large milestones! There are sample cards on our site if you’d like to review further! I am an early intervention speech-language pathologist and these would be so helpful to educate families I work with! I am a mom of an almost 3 year old and we will be (hopefully soon!) adopting a newborn. These would be great to stir my brain for things we can do together. I also have a lot of contact with really young moms who I can share these with! Congrats! I love adoption stories! 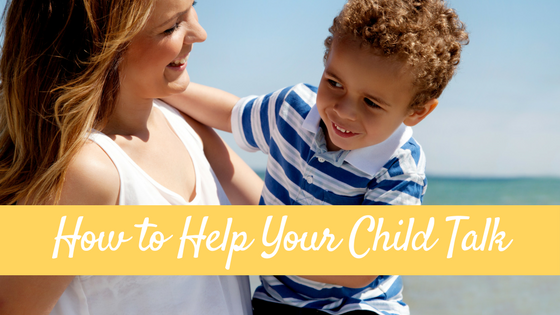 The suggestions could easily be used for both your kiddos! Congrats on your daughter. Preemies are special! The cool thing about the card format is you can lay them out in all 5 areas by stage (and not age), so if she develops motor faster than language (or vise versa), you can find the stage that is exactly right for her! 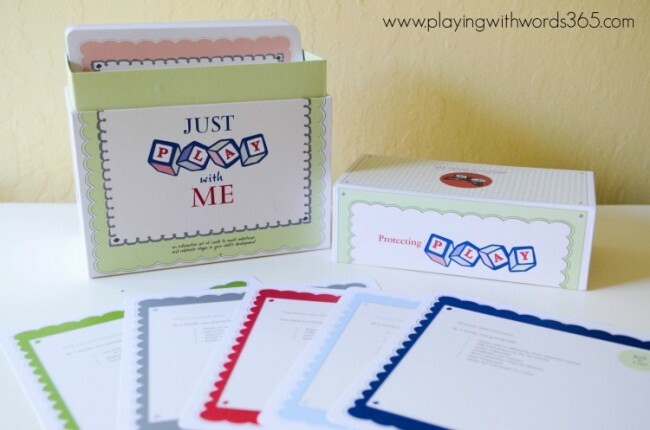 Plus – my hubby agrees, cards are easier! 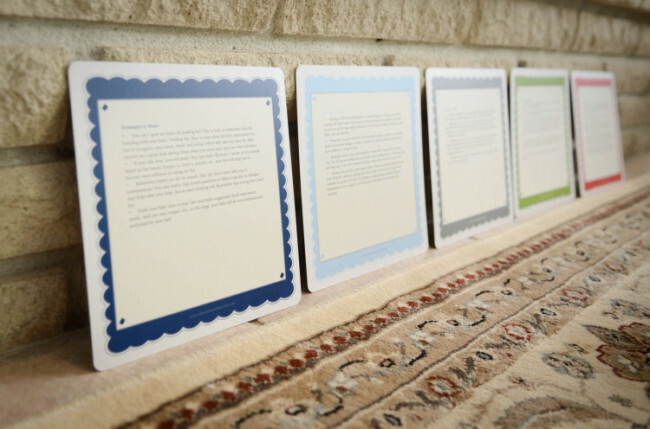 He wishes we had them to pin to the fridge when our girls were smaller – he actually would have read them! These look like a great addition to my SLP tool box. I am excited to be taking one of the Hanen courses in January as I serve a large population of children under 3 years old in private practice. The first thing I stress to parents following an evaluation is the importance of carrying on the lessons from therapy into their home. I feel like these cards would have great application to assist with this piece of the puzzle. Thanks for the review and for sharing this resource! Thank you Emily! We love being a resource to fellow resources. Our webpage has some great resources for families if you would like to share. These look great! They would be an excellent addition to my materials. I work in the schools and have many students on my caseload that are three and four years old. Thank you for taking time to review and let us know about this product! Thank you Jocelyn! We’d love for you to share them with your students and families! These would be perfect for EI! Thanks Gabriella – we use them for EI every day! Looks like fun for the little ones! Fun for little ones and their big people! These look like they would be fabulous to use with parents to give practical ideas of what they can do at home! That’s our goal Angela! Easy-Peasy (and fun) for parents & kids! 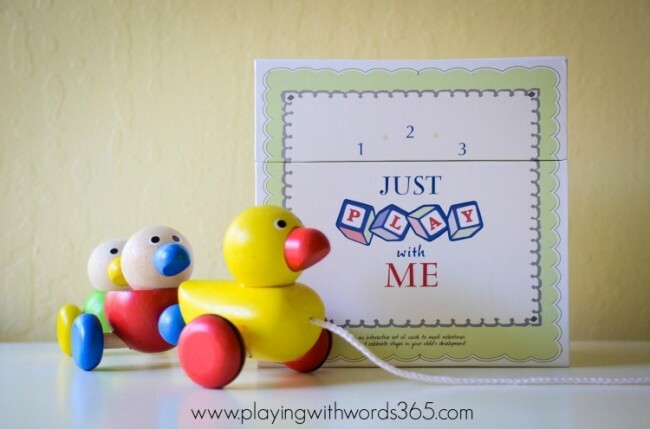 1-2-3 Just Play with Me is a creative, unique gift for baby showers, new parents, and even grandparents who are going to babysit while the parents work! I’ve given it as a gift and the recepients have expressed appreciation for the easy-to-use, no cost, creative ideas provided. I would love to use these with my student’s families! They are always looking for ways to carry over work we do in sessions. These look great! I’d love to use them with my birth to 3 clients! I’ll keep them in mind for showers too! Working with birth to three I could see these being very useful tools! I have many friends having babies too…what a good idea for a shower gift! Very cool! I am working with EI and can always use a new angle on it. I’ve been a SLP for 37 years (33 on the Big Island) but in the last 9 years my target population has been 3-10. I was just given the monumental task of Birth to 18. I was EI for many years before that but when my home-based non-profit said to expand, I had literally given all of my tools of the trade to other SLP’s, so I am now starting from scratch. This would be an awesome “win” because I train my parents to be the “therapists,” which is why my turnover rate is high and my caseload is ever-changing! Mahalo nui for the opportunity! Those look wonderful and fun! I would love sharing those with my 16 month old son. Thanks for the great review and give away! I’d love to use these and an EI OT, or to gift to my sister with her first baby on the way! 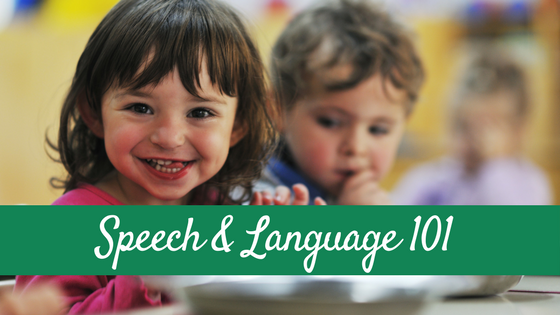 I am an SLP for a preschool disabled class in a public school. We just started a parent training portion to our program and this would be a FAB addition!!! Thanks for the chance! Would love these for a bff mommy that is also a slp!! These are so great! They would be great during my EI home visits. It’s good to have hard copies to re-iterate our sessions! I would love to have this set of cards to share with my niece and her husband who have a 4-month old baby. They really need help when it comes to playing with such a young child. This would be a great Christmas gift for them! This looks awesome! Thanks for letting us know about it! This looks wonderful! Thank you so much for sharing! I would love to use these with my sons. A great resource/quick reference for SLP graduate students and beginning clinicians. Wonderful resource for SLPs working with Early Intervention. I’m loving the format of these cards! Seems easy for us SLPs and parents as well. Thanks for the review!! These are fantastic and I would love to get my upcoming baby boy off to a great start! I would like to win this to use with my speech/language clients and parents. I’m a SLP and would love to have a set to use with my little ones and to be able to educate parents on the importance of play! I think these cards would be an excellent resource for the parents of the young children on my caseload. Many of my students have new siblings at home and I can see my students practicing their communication skills while helping their siblings reach their next milestone. Thank you Katy for introducing this great product. I would love to use this with my own children as well as in my speech classes with my severely low students. I have a beautiful 13 month old that is always on the move and making noises. I’d love something that helps me focus our activities a little more than just random play and parroting. I am also interesting in them as a resource to give to friends who are planning or expecting their first child. I love that they center on play based as there is definitely too much of a push to get kids “working” at an early age! Would love to use these in therapy or as a gift! Can’t decide! I would love to have these cards to use with my son and the baby I babysit for. 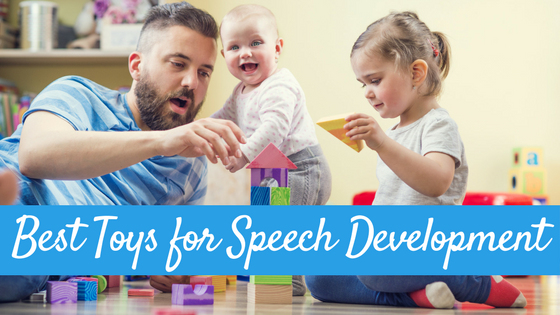 It would be a great way to involve some extra speech practice into my sons day and be able to include the baby too!